Finding safe and reliable parking got a whole lot easier for twenty-five million motorcycle and scooter enthusiasts across the U.S. with the newly released CurbNinja mobile app. CurbNinja is the first community-based parking solution designed specifically for users who rely on motorbikes (motorcycles & scooters) for transportation. Similar to other community-based solutions (Waze or Zimride), CurbNinja relies on the power of its users to accurately maintain its inventory of parking spots specific to motorbikes. “We’re all aware that parking in urban areas is a huge problem,” said Tim Hines, Co-Founder. “However, motorbikers suffer their own unique pains like long searches, availability, costs and most importantly, safety. Most cities do not offer an infrastructure for motorbike parking which has created a Wild West for anyone with steel between their legs.” CurbNinja embarked on a mission to make parking information more accessible by giving the motorbike community a platform to share their insights. 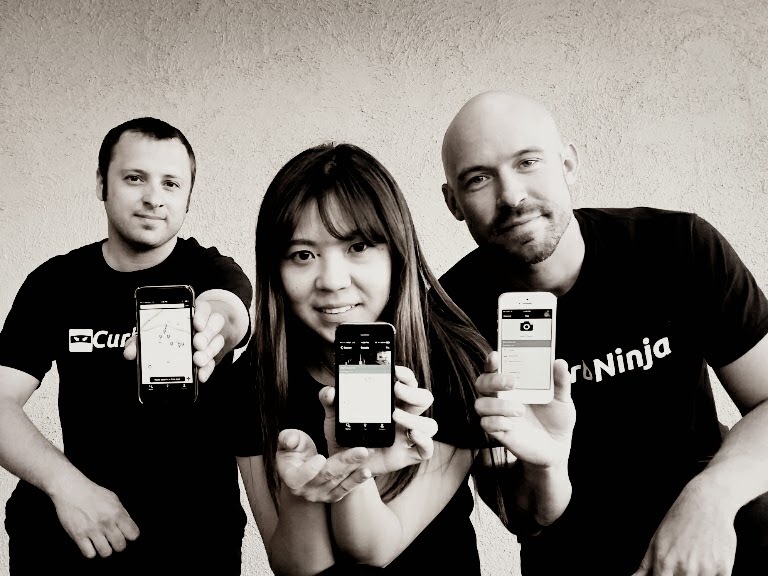 CurbNinja first launched last year with its limited beta and has now released its new, fully-native iOS app with a streamlined UX and improved functionality. The new app allows users to search for and share street parking spots in their city. Now searchable in both a map and list view, each parking spot listing is complete with a photo, restrictions and a description; all details of which are fully editable by users. For metered spots, the listing also includes hours of operation and rates. All spots are locatable by the user’s current location or destination and navigable by the app’s driving directions. In addition to improved features, CurbNinja has added business listings in the search functionality allowing users to find motorbiker-friendly businesses nearby like repair shops, parts stores, mechanics and restaurants. The business listings include photos, descriptions, website links, and phone numbers for quick reference by users. “By adding business listings to the app, we’re able to offer a more complete solution,” said Fred Lebed, Co-Founder. “Motorbikers are now able to see what resources the community has to offer while finding parking around them.” Businesses pay a small monthly subscription fee for the listing which reaches CurbNinja’s active network of motorbikers across the country. Currently, CurbNinja has over 3000 parking spots in San Francisco, Las Vegas and San Jose. While making its service available in multiple markets across the United States and Canada, CurbNinja also plans to release an Android version of the app early summer 2015.